For many across the US and beyond, the winter holiday season – beginning with Thanksgiving and ending with New Year’s Day – is a festive and joyous time spent with family and friends. For many of the same, it’s also a time of stress, as the pressures of entertaining – or even just being under the direct scrutiny of those who may care about us the most – becomes all too real. One good solution which helps in both cases is to just play some tabletop games. The competitive spirit can help to alleviate the mood and focus our energy. Some of us are a bit more competitive than others, and – taken to an extreme – that can exacerbate the negativity, rather than resolving it. In these cases, playing cooperative games is a great alternative to another flipped board. In fact, almost any game can be made cooperative; simply decide on a collective goal and work towards it. Chess/Checkers: If there are 4 or more of you, play Chess or Checkers in teams. Each team discusses the best move, arrives at a consensus, then makes the move. 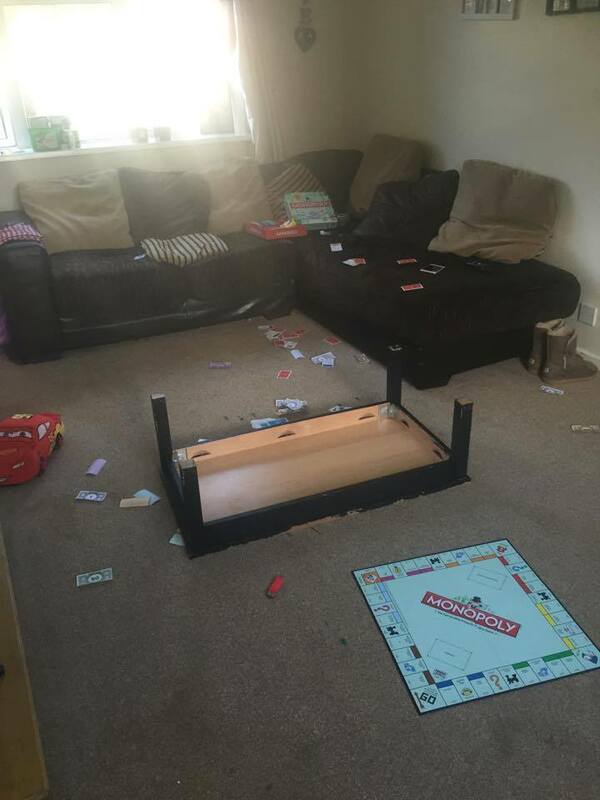 Monopoly: Designate certain tokens as the ‘tenants’; they’re not allowed to buy properties. Then, collaborate to build the best real estate empire in the world – moving the tenants around and charging them for rent. Work together to build your monopoly empire. Scrabble: Set a minimum word length – something like 5 letters. Then help each other find the best words. Learn new vocabulary along the way, and have fun together doing it. Trivial Pursuit: Forget the board. Just ask the questions – and help each other with the answers. Learn about the strengths and weaknesses of each other’s knowledge. Battleship: Okay, this one’s not cooperative, but… hold a Battleship tournament! Only one commander advances (or you can do it round robin style). Not only can these tweaks keep the peace; it’s a great way to introduce younger children to tactile games. These examples of classic board games turned cooperative are only scratching the surface. Consider going to your local hobbyist game shop (especially available to those in a big city). Talk with the clerk and ask about cooperative games you can play – there may be a new, independent tabletop game that you should be introduced to. Play doesn’t always have to be competitive – and, almost always, just playing and laughing can bring family together.